Meander down the tree-lined driveway (paved) to your 6 acre private paradise. Property located WAY off Old York Road. See aerial plat. 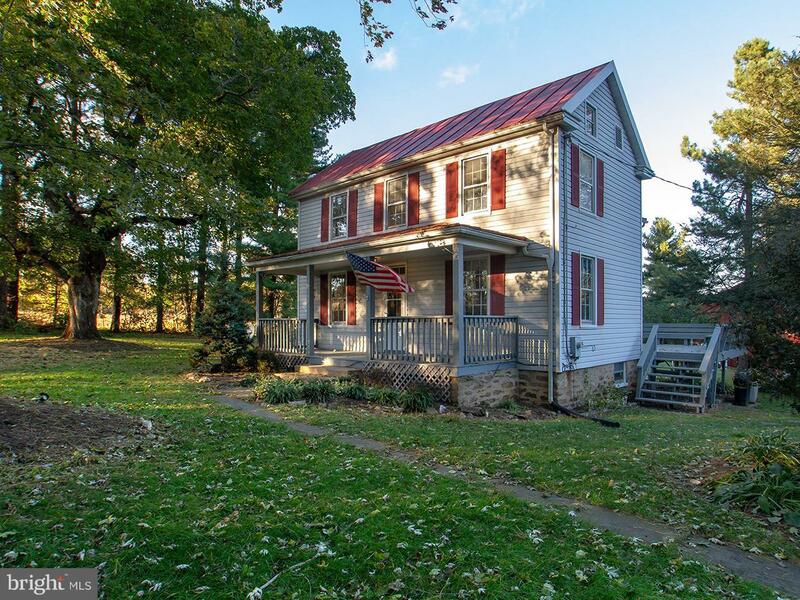 Appealing farmhouse with roofed front porch and side deck. 3/4 bedroom layout. Horses welcome! Fenced pastures.....bank barn....carriage house w/corn crib. Separate building (needs work) was previously used as a separate living quarters w/ full bath. and kitchenette. No HOA. Hereford Zone schools. Property being sold "AS-IS".